The awardees are: Charles H. Ahn, the William K. Lanman Jr. Professor of Applied Physics and chair of the Department of Applied Physics; Richard Bribiescas, professor of anthropology and ecology and evolutionary development and deputy provost for faculty development and diversity; Christopher G. Burd, professor and deputy chair of cell biology; and Dragomir Radev, the A. Bartlett Giamatti Professor of Computer Science. Dragomir Radev was honored for his distinguished contributions to the fields of natural language processing, information retrieval, and artificial intelligence. 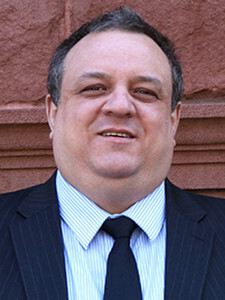 Radev has served as secretary of the Association for Computational Linguistics, is co-founder of the North American Computational Linguistics Olympiad, and is a fellow of the Association for Computing Machinery. The new fellows will be presented with an official certificate and a gold and blue (representing science and engineering, respectively) rosette pin on Feb. 16 at the 2019 AAAS Annual Meeting in Washington, D.C. The AAAS is the world’s largest general scientific society and publisher of the journal Science, as well as Science Translational Medicine; Science Signaling, a digital, open-access journal; Science Advances; Science Immunology; and Science Robotics. It was founded in 1848 and includes nearly 250 affiliated societies and academies of science, serving 10 million individuals.